The latter ranked her as the sixth most powerful woman in the world in 2016, five years after she took her current position as Managing Director of the International Monetary Fund (IMF), where she has since been re-elected for a second term. She was “treated practically like a rock star” at meetings, according to former IMF economist Kenneth Rogoff, speaking to The New York Times at the time. Lagarde remembers the time after her father’s death as a life lesson. “During that year at Holton-Arms with my host family and interning in Washington, I learned more, and it mattered more to me, probably, than any other year in my life,” she said in an interview with the Washington Post. Janet Yellen, US Federal Reserve Chair, described her French colleague in a column published in Time as one who has given the fund “a more human face by addressing issues like gender and income inequality and public health threats”. Speaking to the Guardian, Lagarde defined her mission as looking “under the skin of countries’ economies [to] help them make better decisions and be stronger”. But even though she is seen as a more charismatic leader than her predecessors, many outside the power spheres disagree, since IMF ‘help’ normally implies unpopular adjustment policies. The fund itself acknowledged the contracting impact of some of the measures recommended, although Lagarde told Bloomberg that creditors “overestimated the ability of Greece to actually endorse and take ownership of measures that were needed”. This is not the only subject that has kept Lagarde busy in recent months. 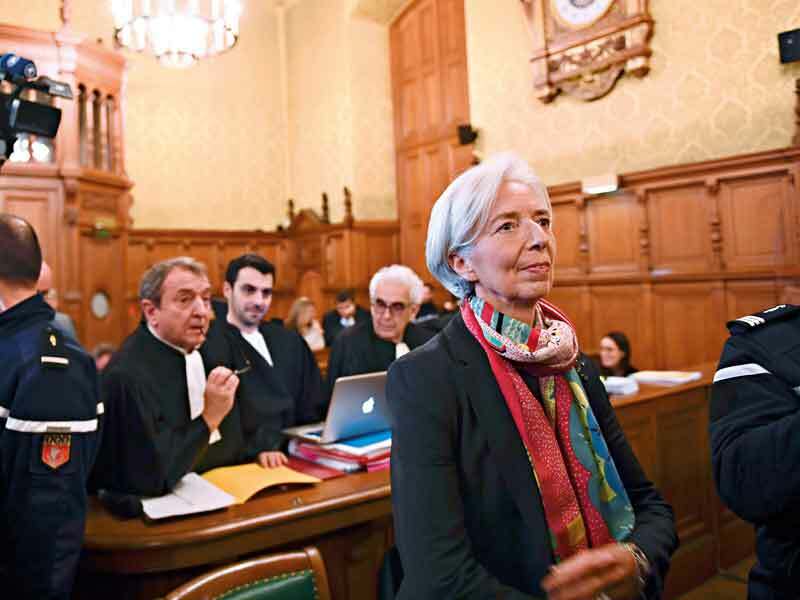 Another event wiped the smile off her face in December last year, when she was found guilty of negligence over a fraudulent €403m ($476.3m) payout to the French tycoon Bernard Tapie when she served as finance minister.